There are many more, but we didn't want to lose focus...as one of those blights on history is about to be corrected. 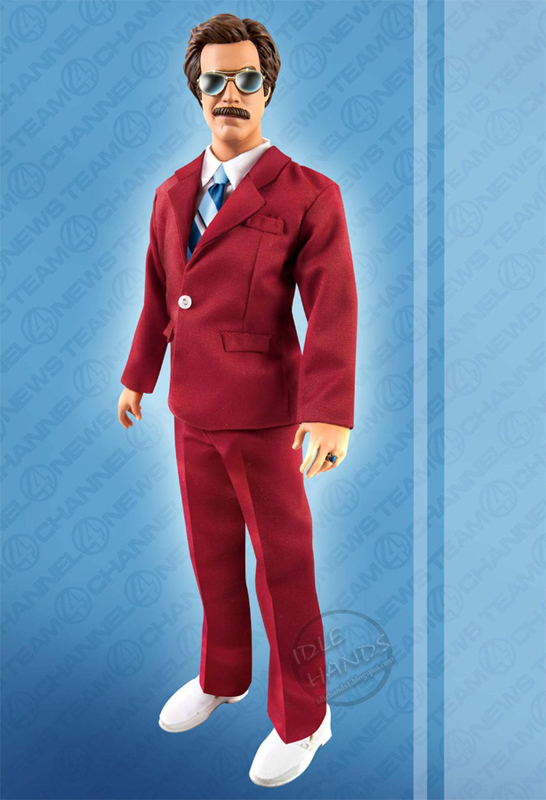 From Beeline Creative comes..THE TALKING RON BURGUNDY ACTION FIGURE!! (CLICK HERE to pre-order!) Don't call him a doll or he'll punch you in the chops with a surly right hook and you'll thank him for it as you steal the faintest whiff of Scotch on his breathe. His tiny, tiny plastic breath. 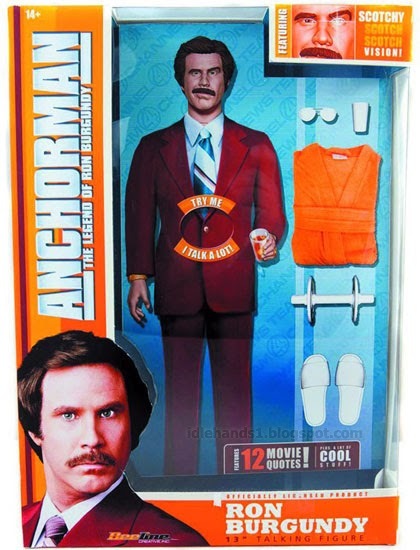 Ron Burgundy, the legendary San Diego newscaster and part of the KVWN Channel 4 News Team, wants to share insight from his epic career with this new 13" action figure! With its embedded sound chip, this figure will tell you that "It's kind of a big deal" and other words of wisdom as only Ron Burgundy can! Of course he's 13 inches tall. Who would pass up the opportunity to make him one whole inch taller than any other standard figure on the market?? The release date is set for January 2014. Action figures not your speed? Afraid he'll say something too sassy for your delicate sensibilities or emit an pungent odor that stings the nostrils? 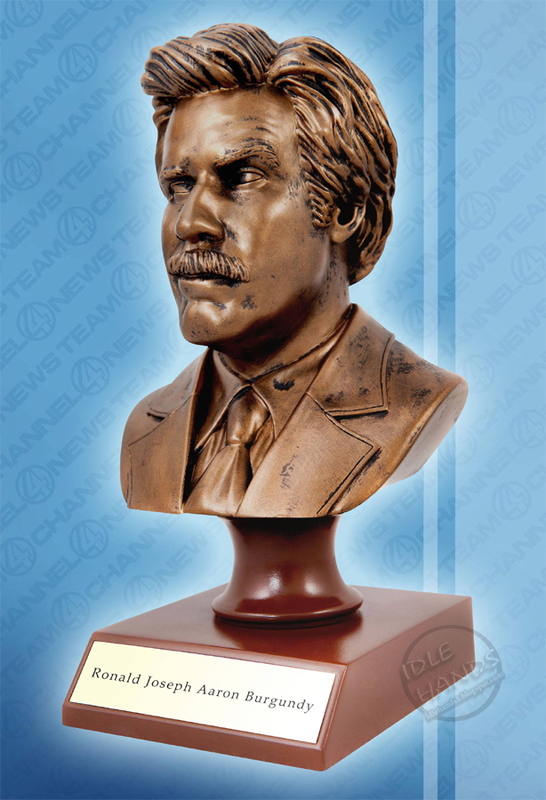 Well then maybe you've got to go even classier with the Ronald Joseph Aaron Burgundy faux bronze mini bust! 60% of the time....it works, every time. This is also set to hit in January of 2014.